In our previous posts, we talked about The Montessori Method of Education, the Benefits of Enrolling in a Montessori Preschool, and the Montessori Classroom Setup. Those topics should give you a heads up on what a Montessori school offers and how different its teaching method is from a traditional school. 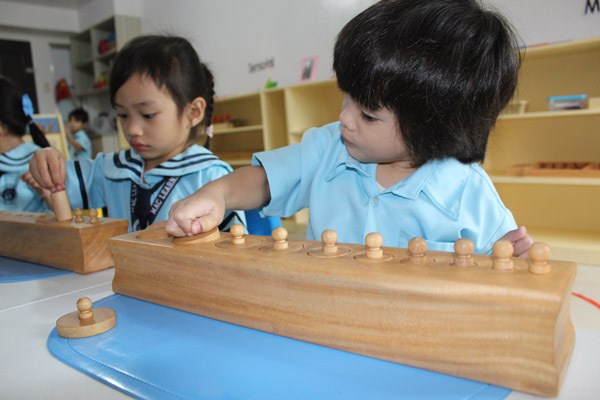 Today, let’s talk about the 6 major differences between Montessori Preschools and Traditional Schools. This guide is very important for parents so they’d know what to expect, especially for first-time parents who are considering to enroll their young children in a Montessori Preschool. To ensure that every student is given individual attention and proper guidance as needed, Montessori schools accept a limited number of students per class. In MAC Learning Center, each class has a maximum of 12 students only so the teacher can easily focus on each student and maintain order in class. This is a primary distinction of a Montessori school. 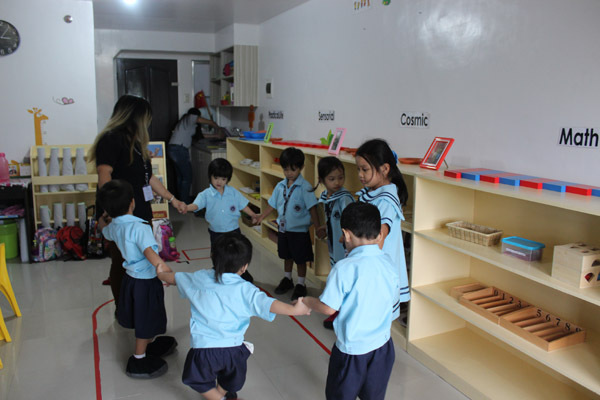 Unlike in a traditional school where students interact only with their peers of the same age and level, a Montessori class is composed of multi-age students. This setup gives younger kids a chance to learn from older students, while seniors have the opportunity to teach their junior peers. The most important takeaway is that each student learns to interact with different children in a variety of ages and levels. Montessori preschools rarely give homework and don’t rely on textbooks for teaching. Instead, they educate children through their own hands-on experience. When students explore the school materials, they learn through hands and mind coordination. In MAC Learning Center, we nurture great minds by focusing on the development of a child’s understanding of “how” and “why” things work. In MAC Learning Center, we give emphasis on developing a child’s character. The areas we focus to develop are Grace and Courtesy, Concentration, Independence, and Mastery of the Subject Matter. 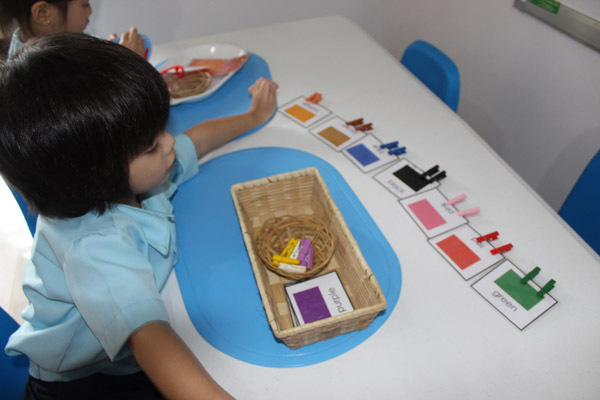 Montessori students are given the freedom to work on their chosen tasks and learn according to their own pace. 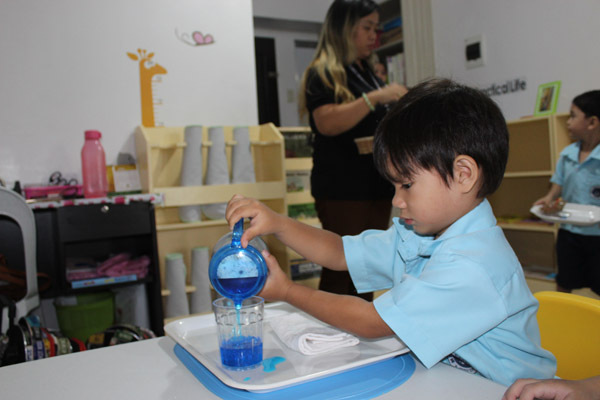 Compared to traditional schools where the teacher conducts the discussion for everyone, the Montessori teacher will merely guide the students as they concentrate on things that spark their interest and curiosity. We hope this gives you better clarity and understanding of the Montessori Education. Should you wish to enroll your child in a Montessori Preschool, MAC Learning Center now offers an all-year-round enrollment for children ages 1.8 – 4.5 years old. Learn More or Inquire Now!